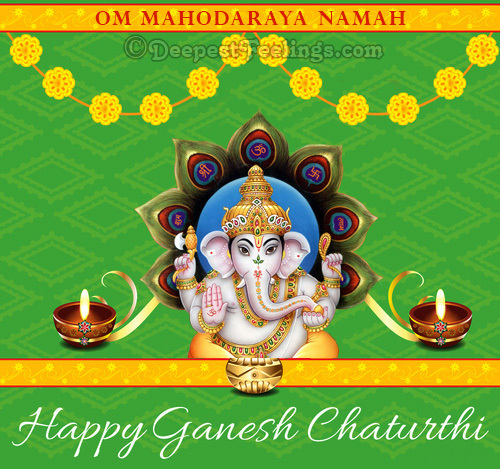 Lord Ganesha, the remover of obstacles and the God of knowledge is invoked before making any new beginning. 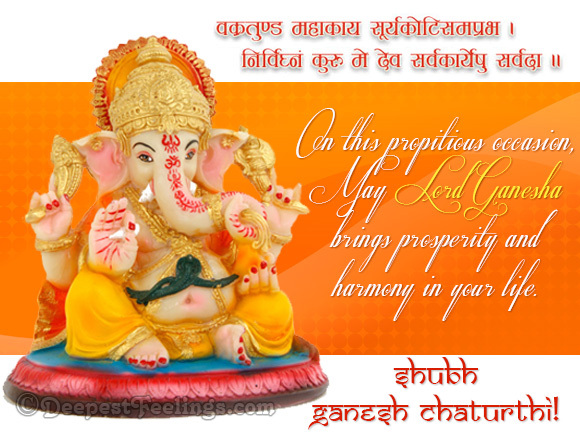 The pot-bellied, elephant faced Lord is considered auspicious by every Hindu. 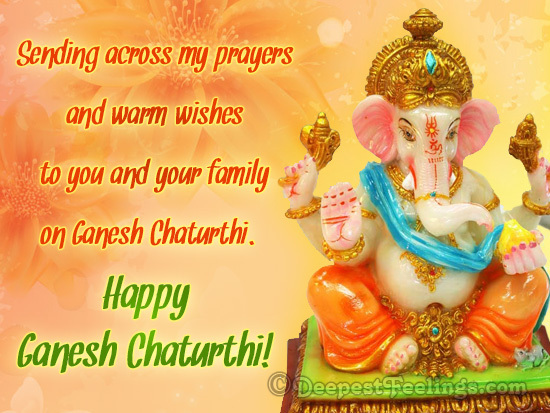 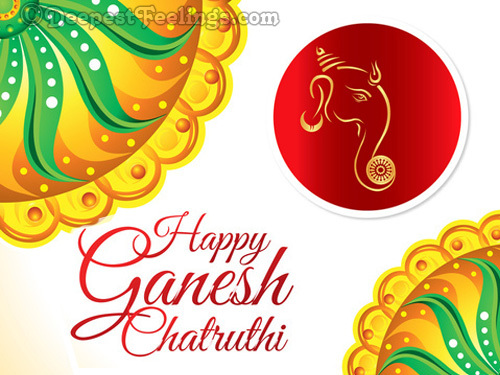 On this Ganesh Chaturthi share the blessings of the Lord with everyone you hold dear by sending these free Ganesh Chaturthi cards from deepestfeelings. 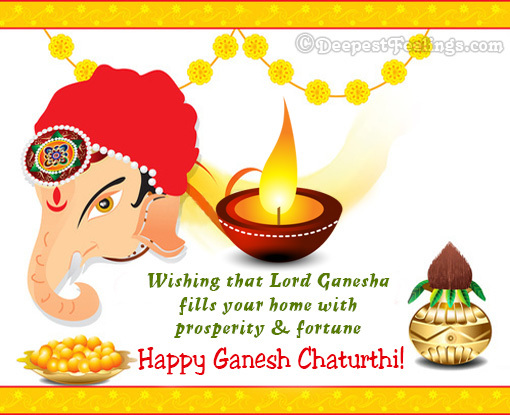 If you like these ecards, then please feel free to refer this page to your loved ones.